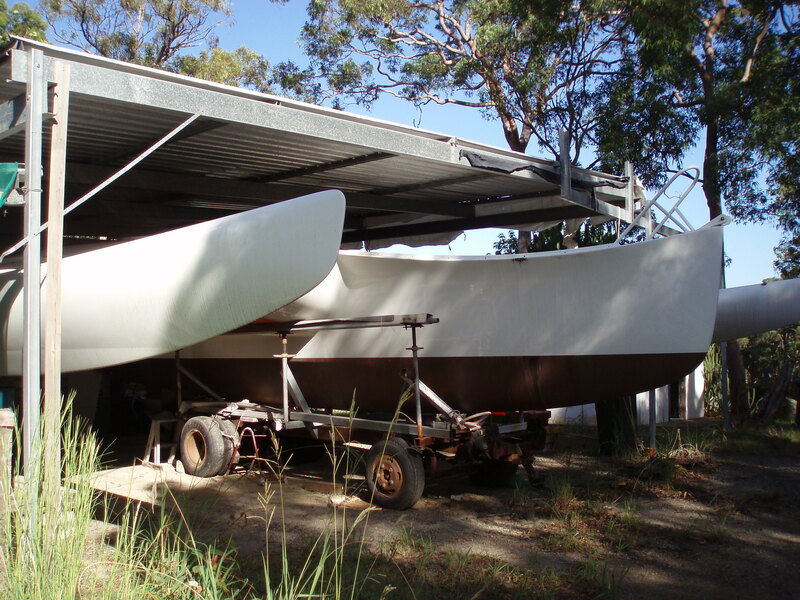 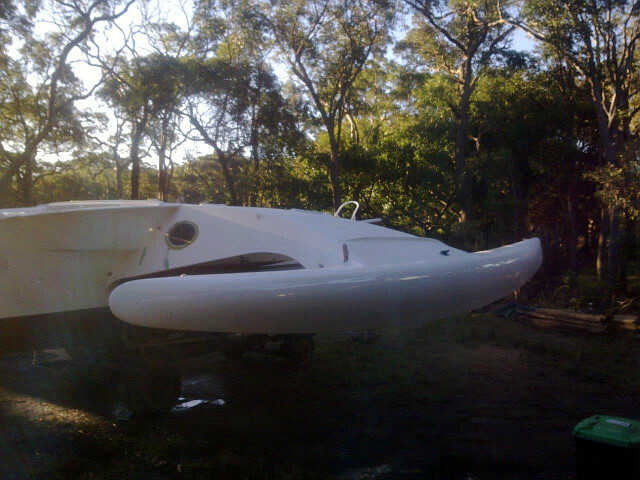 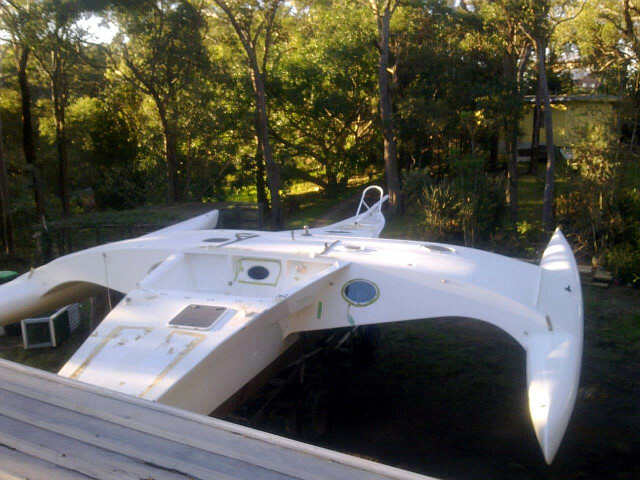 February 8, 2018 - Deceased Qantas First Officer and boat builder Graham Murray's family must sell sold his nearly complete Newick "Echo" trimaran. The boat was lengthened during construction to 38 feet long and is 30 feet wide. 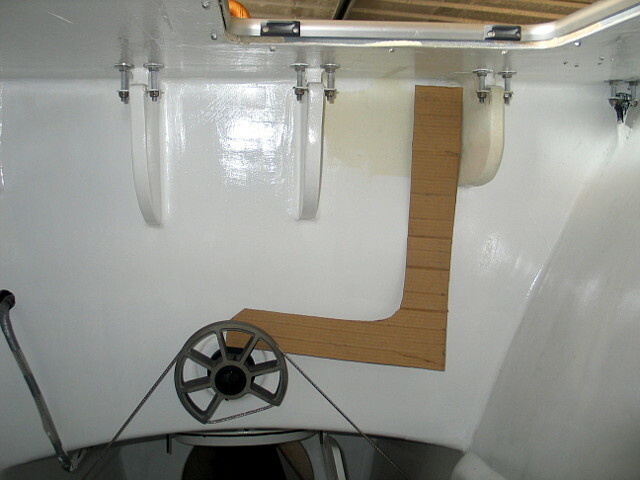 It is built out of foam sandwich and features carbon fibre reinforcement. 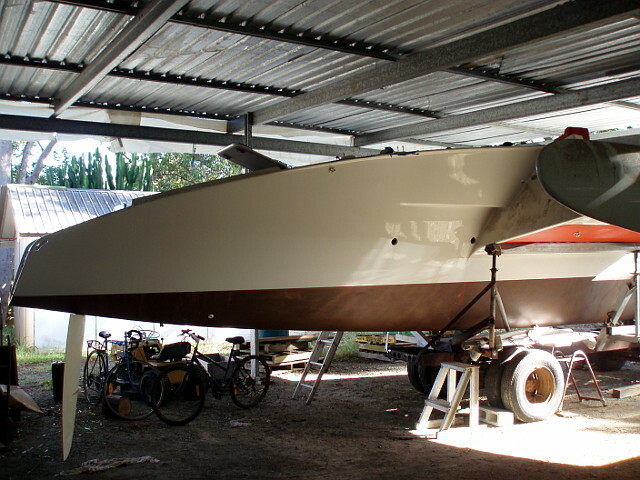 The boat is mostly finished. A friend of my late brother-in-law who was involved in building the boat estimates it "could be made ready for the water in less than 2 weeks. The steering and motor need to be installed and assorted other jobs need completion but the boat could be readied for motoring in the fortnight and launched in that time". 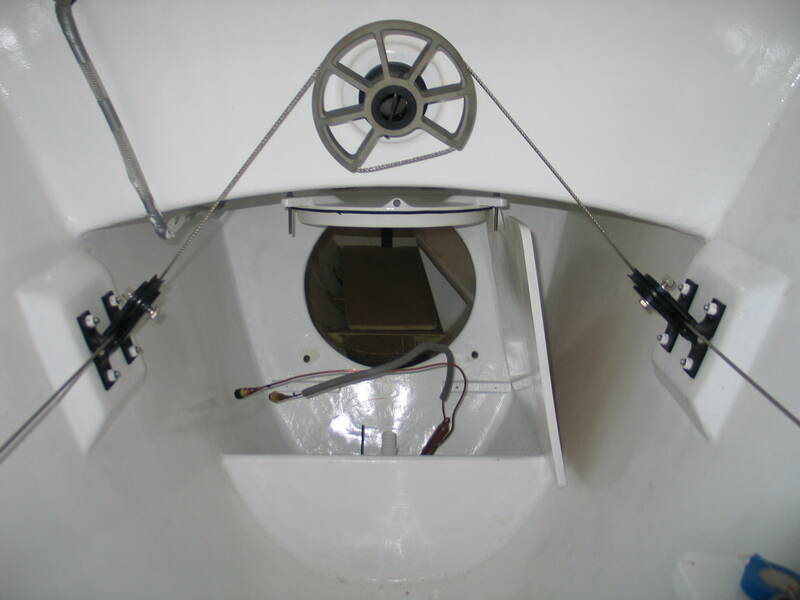 There are also fittings and equipment, all new: engine, 13.8m mast, boom, steering box, rudder, rudder box, fibreglass attachment for rudder, 2 sails (1 is MPS), housing to bolt on boat to put in motor, the ball where the mast goes into the boat is titanium, hatch covers, gurney, sander, tools and glue, ropes, anchors, water filtration, winches and other electrical equipment plans, 4 solar panels, outboard engine, mast, rudder, tiller, automatic steering unit, electrics, sails, 3 fibreglass hatches, 1 stainless steel hatch, water filtration kit, water maker, toilet, 2 anchors, winches, 2 winch handles, Nav lights, auto sail winder, sextant, sander and polisher, ropes, cleats, sail batons and more. Two people have recently assessed Moby: one a marine engineer whose overall impression of Moby was a positive one, the other, a carbon fibre specialist from Palm Beach Yachts (Queensland) who is an ex -employee of McConaghy Boats. 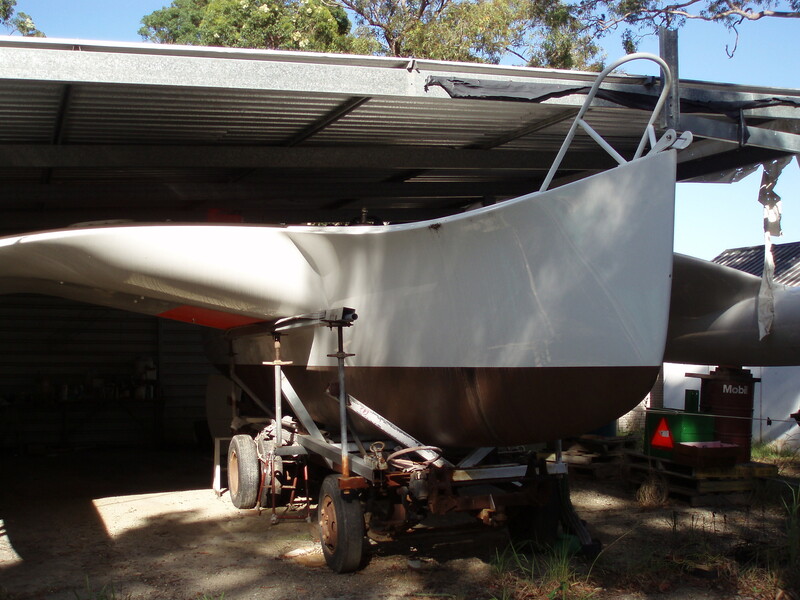 He's a very experienced boat builder, he's worked on America's Cup boats and has a valuable expert opinion. He basically gave one potential buyer the thumbs-up, from a visual inspection he said it looks to be well built. 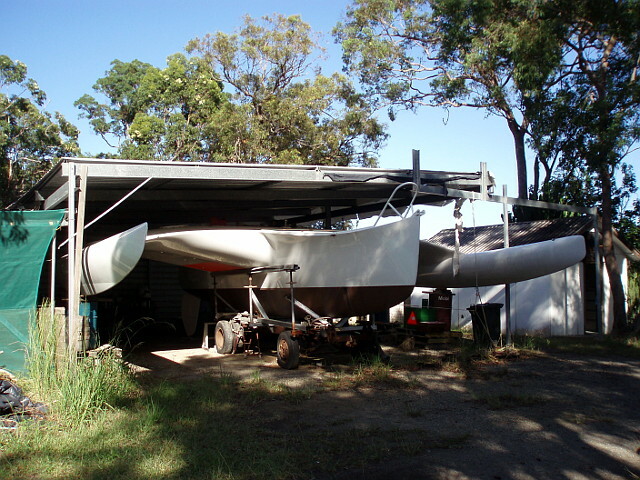 Location: Lake Macquarie, NSW Australia, ~60 miles (~100 km) north of Sydney.